Note: These are past sales. Please check our new permanent page for Vitamix & Blendtec Sales. This landing page will list information about current holiday sales as well as monthly specials. If you’re looking for a special price on a Vitamix or Blendtec, Black Friday through Cyber Monday will be your days to act. Both companies have announced some great deals on their products for the 2013 holiday shopping season. Vitamix and Blendtec very rarely offer discounts on their products, but Black Friday through Cyber Monday are one of those rare times. Let’s take a look at what each is offering and help you find a great deal. For the rest of November (this deal ends December 2nd at midnight), Vitamix is running special holiday pricing on their Certified Reconditioned packages, an extra $30-$40 off of the normal price of select refurbished models. No additional promotion codes are necessary to receive the special pricing, but using our links on this page, will automatically apply an additional free shipping discount to your order (a $25 US / $35 CA value). Also, Vitamix has announced one additional promotion for current Vitamix owners, $50 off any new container purchased from now through the end of Cyber Monday (December 2nd). If you know of any additional Vitamix Black Friday deals that we’ve missed, please share in the comments below. Blendtec has also gotten into the holiday spirit this year and released a few Black Friday deals of their own. First up, they announced a $105 discount on their Total Blender Classic Certified Refurbished, which brings the price from $384.95 to $279.95. This sale runs through the end of the year until supplies last, and with this big of a discount, they will sell out quickly. Next, Blendtec has recently released a limited number of Designer Series Certified Refurbished packages which are currently on sale for $379.95, a savings of $75 over the normal cost of $454.95. 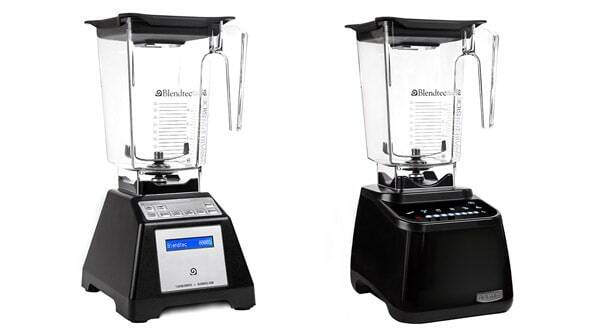 Important to note that all of Blendtec’s certified refurbished models still come with a 7 year warranty and new accessories. Once again, no special promotion codes are necessary to receive this special pricing, and free shipping will automatically be applied to your order if you click through any of the Blendtec.com links throughout our site. We’ll continue to update this post if new deals are found, so check back for any updates. The Vitamix website uses technology to limit your access based on your location. Unfortunately, if you are outside of the US, you will not be able to order from the US site. I would recommend calling Vitamix customer service at 1-800-848-2649 to place your order over the phone. I decided to buy a reconditioned 5200 program today even though I missed the sale :) Do you think it will get here before Christmas? I’d love to make a Christmas smoothie! Yep! You should get it with plenty of time to spare. You can order as late as December 18th, and still get it in time for Christmas.